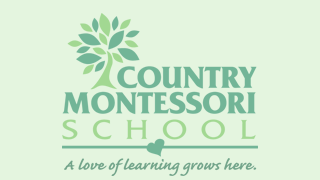 Country Montessori School has been serving the Montessori community since 1989. Listen to our school song. Country Montessori School is dedicated to providing children a Montessori education based on Dr. Montessori’s principles that focus on the development of the whole child; intellectual, physical, social, emotional, and spiritual. Mixed age grouping that stresses cooperation and collaboration in a community setting. Our campus is situated on nearly 3 acres of trees, with a serenity garden and multiple play areas, Country Montessori offers a warm, homelike environment. 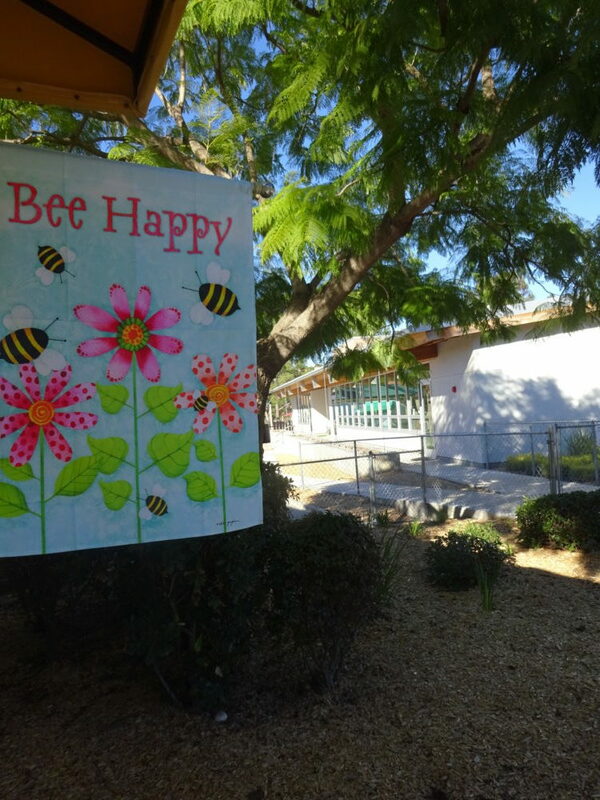 The school is located in northwest Poway, just north of San Diego, California. As an extension of our founding philosophy, parents are required to be involved in the school’s community as volunteers. We believe their participation is vital to the success of their children’s education. Country Montessori School is committed to maintaining its leadership in Montessori education. Our mission as educators and parents is to foster independent, confident, academically prepared, and socially responsible citizens, who will be lifelong learners and problem solvers. We will grow and evolve to meet the needs of our children, parents, and community. Dedicated staff of teachers, assistants, enrichment, and administrative personnel who are committed to the academic, social, emotional, and physical development of our students. 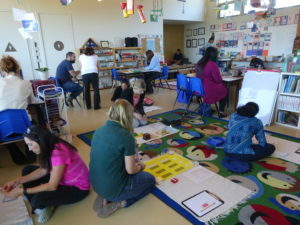 Our classroom lead teachers are Montessori-credentialed while the others are in the practicum phase of their credential. All CMS full-time employees are required to have a minimum of 16 hours of formal continuous education every year. We have a strong legacy of promoting from within and providing personal and professional growth opportunities for employees who are dedicated to guiding children in an authentic Montessori environment. Staff development is a priority for the CMS Administration as our school’s strength and success depends on our people, our program, and the partnership we build with our parents. What Special Training Do The Montessori Teachers Have At Country Montessori School? 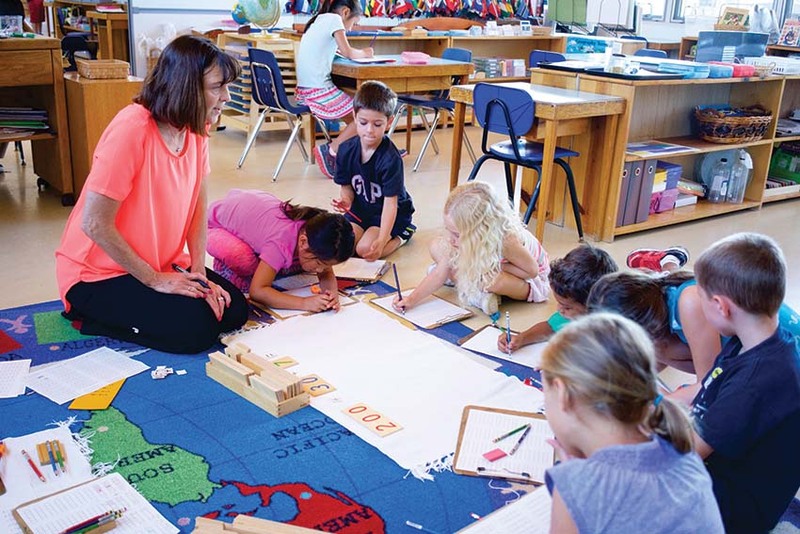 Montessori teachers study a rigorous curriculum of child development and Montessori philosophy as well as specific uses of the Montessori classroom materials. AMS Montessori credentialing requires a 9-month practicum and a series of written and oral exams. A Montessori-credentialed teacher is trained to recognize a child’s readiness according to age, ability, and interest in a specific lesson, and is prepared to guide individual progress. 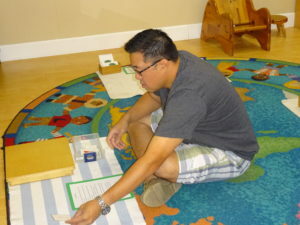 All lead teachers at Country Montessori School are Montessori-credentialed for the programs they teach. Some of our teachers and Classroom Assistants are in-training and completing their practicum under the guidance of an experienced teacher. All elementary teachers must have a minimum college education of a Bachelor’s degree. What Is The Role Of The Classroom Assistant? Classroom assistants support the teacher and children. CMS Classroom Assistants are viewed as an extension of the teaching team. In addition to providing classroom management, CMS assistants observe, help and prepare the classroom. 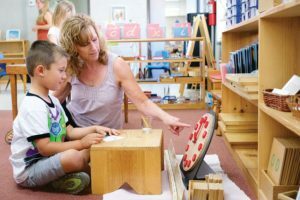 If the assistant is in her practicum year of earning her Montessori credential, she will give children lessons under the guidance and observation of a lead teacher. Otherwise, assistants do not give children lessons. Their responsibility is to ensure the classroom is a child-friendly, prepared environment. At Country Montessori School, our goal for parent education is to have a program that enables an enthusiastic community of parents who understand the basics of Montessori philosophy, our administration of a an authentic Montessori program, and support their children by integrating Montessori practices at home and in their parenting. Our parent education program also includes guest speakers on topics of child development. Country Montessori School has a strong history of positive parent involvement. Our parents association, the PTC supports the school through family social events, parent education. Parent support and involvement is critical to CMS sustaining a high quality Montessori education program. At Country Montessori School we seek out and build strong relationships with parents that go beyond a financial convention to create a community of open communication and involvement that benefits our children. There are a variety of opportunities to meet individual needs both on campus and off. How Do I Get Involved In The School? Parent involvement is a critical factor in a child’s successful experience in their school. We encourage parent participation through conferences, the Montessori Journey, observations, parent evenings, and assisting in the classroom. The more parents understand the classroom experience, the better able they are to follow through at home. When parents follow through at home, the child benefits even more because she has a consistent environment in which to grow and develop. In addition, parents are modeling community behavior for their children when they are actively involved in the life of the school through events and fundraisers. More opportunities exist through the CMS parent organization, the PTC. How Can I Create A Montessori Environment In My Home? Children need a sense of belonging, and they get it by participating fully in the routines of everyday life. “Help me do it by myself” is the life theme of the preschool child.You can find ways for your child to participate in meal preparation, cleaning, gardening, and caring for clothes, shoes, and toys. Providing opportunities for independence is the surest way to build your child’s self-esteem. How Do I Get Information From The School? The faculty and staff of CMS or the PTC send most of their information by email. Some fliers are sent home on Friday in a plastic folder which needs to be returned to school the following week. There is an annual calendar provided as an email attachment and updates are made on Renweb and the website www.countrymontessori.org.